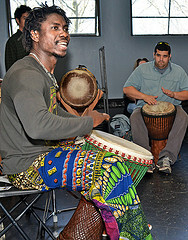 The three-day World Rhythm Festival in Seattle, a weekend of immersion in world music, drum and dance. 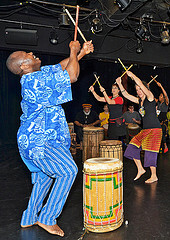 3 days packed with an amazing range of world music traditions, including African, Middle-Eastern, Latin, Indian, Brazilian, North American, and more. 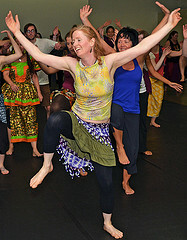 The World Rhythm Festival, which starts today, is at Seattle Center and the corresponding International Marketplace will be in the Fisher Pavilion. There will be dance and drumming workshops and special concerts and events for three days and the best part is that all the events are free. 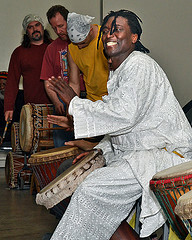 You can bring a drum and use it in any class and the International Marketplace will offer a selections of drums that you can purchase or you can rent a drum. Does this look like fun or what! Next up, the Mayor’s Office is looking for volunteers to host after-school classes for middle school students through Engage Seattle. Recently on our blog, we called for caring and consistent community members to step up as elementary school reading tutors. The need for adult role models does not end with early literacy, however – middle school is another critical time that community members can weigh in to support youth. In fact, research shows that teenagers not attending after-school programs are three times more likely to skip class and engage in dangerous activity (2001 YMCA study). 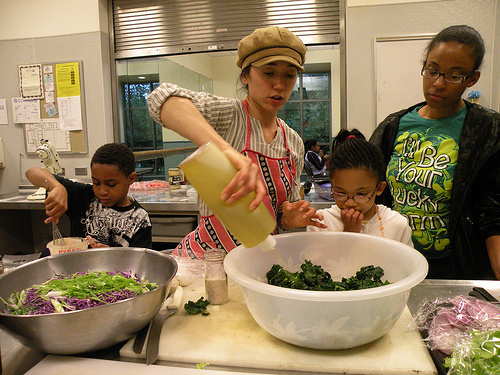 Through Engage Seattle, our office is connecting community members to meaningful volunteer opportunities within ten middle-school Community Learning Centers (CLCs) across Seattle. These centers, managed by Seattle Parks and Recreation and the Seattle YMCA, provide opportunities for students to engage in academic, recreation, and enrichment programs after school. Middle schoolers not only have the opportunity to receive assistance on their homework and make academic gains in reading and math, but are also able to participate in 5-10 week courses such as ultimate Frisbee, cooking, art, and other hands-on learning activities. Check it out, get involved and support our youth.They need us. Now on another positive note, check out Military Children Stay a Step Ahead of Public School Students which was published originally in December, 2011. CAMP LEJEUNE, N.C. — The results are now public from the 2011 federal testing program known as NAEP, the National Assessment of Educational Progress. And once again, schools on the nation’s military bases have outperformed public schools on both reading and math tests for fourth and eighth graders. At the military base schools, 39 percent of fourth graders were scored as proficient in reading, compared with 32 percent of all public school students. Even more impressive, the achievement gap between black and white students continues to be much smaller at military base schools and is shrinking faster than at public schools. To read the article in full, go to The New York Times Education section. More good news, students pushing back on the privatization of their education. This week on Education Radio we speak with Education Radio producer Barbara Madeloni and two students from the teacher education program at the University of Massachusetts Amherst, where she is on the faculty, Amy Lanham and Rachel Hoogstraten, about their experiences coming to understand and resist the incursion of privatizing forces on teacher education. Barbara, Amy and Rachel tell the story of the push for the development of a national teacher performance assessment (TPA) for student teachers, the infiltration of Pearson Inc into the distribution and scoring of the assessment, and the implications of these for public teacher education, teacher development, privacy and confidentiality, and how we understand what it means to teach. Their story reminds us that, as educators with a commitment to social justice, it is our responsibility to understand the neoliberal agenda, name it when we see it at work, educate each other about how it insinuates itself into our institutions and discourses, and stand together in solidarity to resist. Amy Lanham is a doctoral student in English at the University of Massachusetts Amherst.Rachel Hoogstraten is working toward her M.Ed in English education at the University of Massachusett Amherst. Both Amy and Rachel are completing their student teaching practicum in the University of Massachusetts Amherst licensure program in secondary education. Barbara Madeloni is a senior lecturer in the Department of Teacher Education and Curriculum Studies at the University of Massachusetts Amherst and a member of the Education Radio collective. Now, I could go on and on about all the awful stuff that there is to deal with but it is spring so let’s get out there and enjoy it. 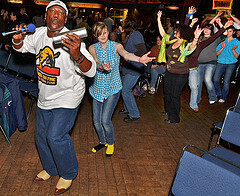 Let’s sing, dance and make joyful noise!